Russia’s Defense Ministry has ordered 30 heavy Sukhoi Su-30SM fighter planes. Given that the same model has been exported to India for more than 10 years, this choice seems both logical and pragmatic. The Defense Ministry and the Irkut Corporation, an affiliate of the United Aircraft Corporation, have signed a supply contract for 30 Su-30SM multirole fighter aircraft, a Defense Ministry spokesman told journalists Thursday, March 22. “Under the contract, Irkut Corporation will build for Russia’s Ministry of Defense 30 planes of this type by 2015,” he said. Rumors that Irkut, a long-standing exporter, may supply several dozen fighter aircraft to the Russian Air Force began circulating late last year. Now the rumor has become a reality – a contract in black and white. But why did the Defense Ministry choose the Su-30’s? After all, they have been mostly supplied to customers abroad rather than to the Russian Armed Forces, where just a few planes of this type are in use. The Su-30, properly speaking, is an entire family of aircraft and the most famous Russian-made (not to be confused with Soviet-made) fighter plane outside of Russia. It was developed in the Soviet Union on the basis of the Su-27UB combat trainer aircraft as a command plane for Air Defense air regiments flying ordinary Su-27 interceptor aircraft. In 1993, its export version, the Su-30K, was developed, sparking record demand and the sale of several hundred planes. The family is further subdivided into two parts: the “Chinese” Su-30MKK/MK2, which were produced in Komsomolsk-on-Amur and exported to Venezuela, Indonesia, Uganda, Vietnam, and of course China; and the “Indian” Su-30MKI, manufactured in Irkutsk and purchased by India, Algeria and Malaysia. The model ordered by the Russian military is a “localized” version of the “Indian” Su-30MKI. Earlier, Komsomolsk-on-Amur delivered to the Air Force four “localized” Su-30MK2’s. As a basic platform for the multirole heavy fighter aircraft, the Su-30MKI is remarkable primarily for its universality. It boasts a so-called “open architecture”, making it relatively easy to add new systems in the basic electronic equipment and to use advanced guided weapons (supplied by different manufacturers). The Su-30MKI sports a Russian radar and optic locator, French navigation and heads-up display systems, Israeli EW and weapon-guidance systems, and Indian computers. The “Chinese” line is based on a different logic that prescribes parallel installation of new systems that fall short of full integration. Most likely, the military is attracted by how easy it is to add different weapons and equipment to the Su-30MKI, transforming it into an attack fighter-bomber, a heavy interceptor aircraft, or something else. By contrast, Fedorov went on record as saying last summer that the Defense Ministry was going to order 40 aircraft. Later the press reported, citing the Irkutsk aircraft plant’s general director Alexander Veprev, that the deliveries were likely to be made in two installments: the first 28 aircraft were intended for the Air Force and another 12 as an option for naval aviation. Air Force C-in-C Alexander Zelin confirmed the figure of 28 in fall 2011. As we can see, the first batch of Sukhoi-30’s has been purchased. The remaining 12, as some military sources intimated to the press, were intended for the Black Sea Fleet’s naval aviation. 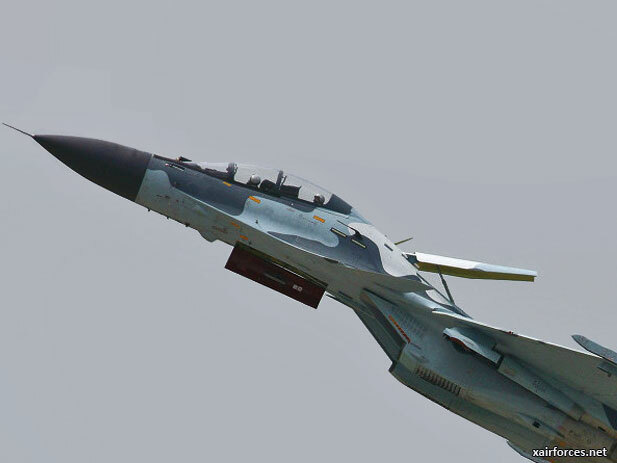 Given that naval aviation has seen cuts in combat aircraft, it seems logical to reinforce it with heavy Su-30SM two-seaters that are efficient both in air-to-air combat and against ground and surface targets. Thus far, however, there is no mention of plans to buy the Su-30 for the Navy. Possibly the option will be realized later. There is another simple explanation for choice of the Su-30MKI. Irkut has been churning out these planes for 10 years thanks to its completely streamlined production method. This means that its products are of high quality, relatively cheap (which pleases the Defense Ministry in particular) and will be supplied on time. It is one thing if, in order to make 30 aircraft, you have to breathe life into an idling plant, to fine-tune (or develop anew) your technological method, buy additional equipment, and – still worse – hire personnel. But it’s quite another if you have been manufacturing standardized aircraft for years and years and can easily divert your workforce to produce an “improved” modification for your own country’s Air Force. The cost of this batch on the side is dramatically lower. This approach (buying quickly and on the cheap what can be produced immediately) has been growing in popularity in the Russian military. We have mentioned the Su-30M2 combat trainer aircraft intended for the Russian Air Force. The same goes for the carrier-based MiG-29K, which in its present form was developed for the Indian Navy. This approach is logical in its own way. The military expects certain fundamentally new models that are being tested with some degree of success. The Air Force is eying the T-50, the fifth-generation fighter aircraft, and the Navy has been trying to get into shape its Lada project involving the construction of non-nuclear submarines. The Land Forces have boycotted the purchases of all currently existing armor models, urging manufacturers to invent something totally new. In the meantime, the Armed Forces will buy cheap, mass-produced, well-equipped, if ordinary, military hardware, like the Su-30SM. You're so cool! I don't think I have read anything like that before. This type of video games could shock your children or cause them to behave in a violent way. for you defenses to inflict heavy damage. Heya! I just wanted to askk if youu ever have any trouble with hackers? work due to noo backup. Do you have any solutions tto prevent hackers? I was taking psychology in college and we studied the criteria to be anti social and Frankie had just about all those traits. In this Cosby Sweater Project, each episode offers different kinds of game to recreate his magic loud shirts. being able to understand they psychology behind marketing. website is actually fastidious and the people are in fact sharing pleasant thoughts. was awesome, and that the it was critically praised. It will always be interesting to read through content from other writers and practice a little something from other web sites. We have all been in a scenario when we skipped the chance of taking a photo in unrepeatable times. if you don't know how to.